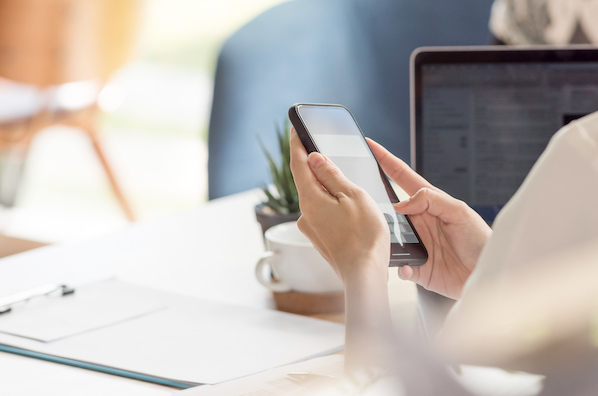 Although the exact day and time you post content to Instagram matters less than it used to -- your followers’ newsfeeds are organized by relevance and engagement, rather than post age -- it’s still very important. While having this information is useful, you do have to wait -- poised over your phone or computer -- for the specific hour to strike. I don’t know about you, but I prefer the “set it and forget it” approach. Luckily, Instagram's API that lets users of marketing tools like HubSpot schedule Instagram posts in advance. In other words, if you use social media scheduling software, you can upload your content and choose when it will go live on Instagram. To start, you'll need a third-party scheduling tool to do the scheduling. Below are a few handy options, most of which offer mobile apps for both iOS and Android devices. 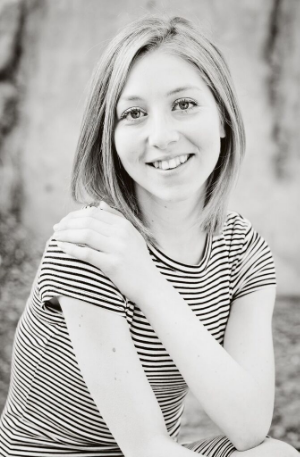 Later is a social media post scheduler, dedicated to Instagram. 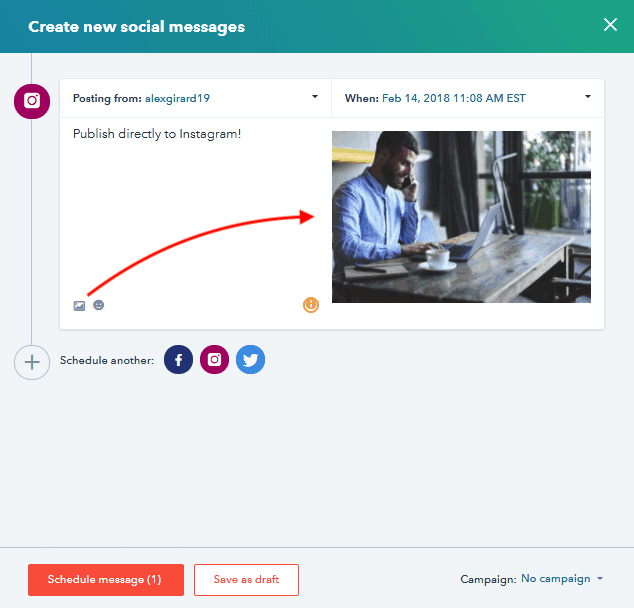 The platform includes a full social content calendar, drag-and-drop post planning, and the ability to publish automatically to your Instagram Business profile. In addition, the service's Linkin.bio feature allows you to link certain posts to specific product pages. 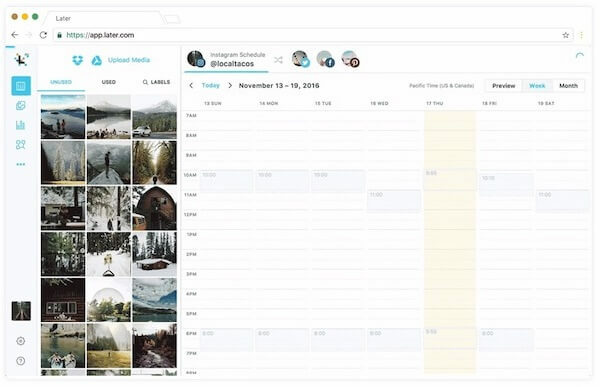 Schedugram is an Instagram post scheduler that includes a photo editor. 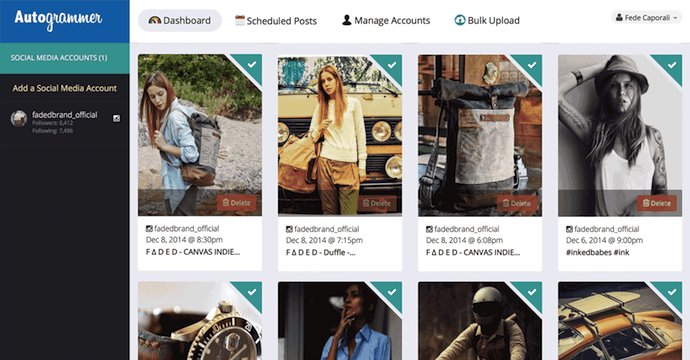 The tool allows you to plan out a long-term posting calendar while modifying the aesthetics of an image prior to publishing. With features like Product Tagging, a user's potential customers can also make purchases from Instagram posts. 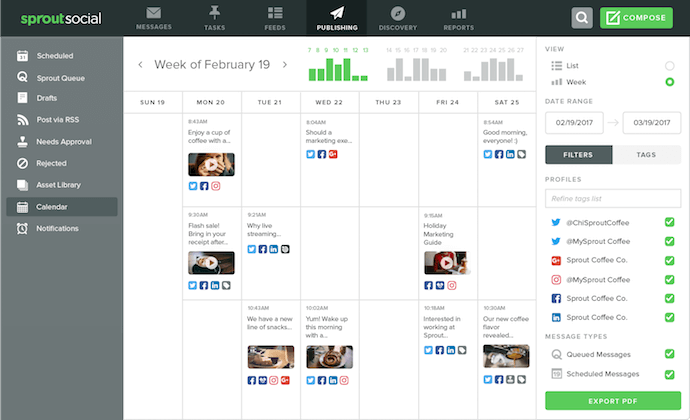 Sprout Social, compatible with six major social networks, is a social media content calendar that allows you to schedule posts and measure multiple aspects of their engagement once they go live. The platform's "social listening" abilities help users identify unique trends across their social content and apply these trends to the rest of their marketing strategy. Autogrammer is a social media post scheduler for Instagram, Facebook, and Twitter. 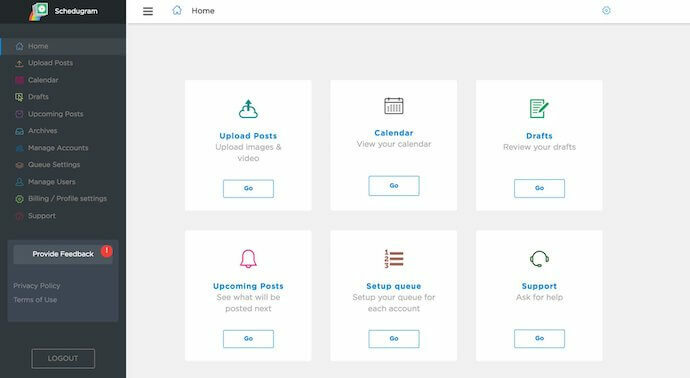 Users can bulk-upload images and automatically schedule posts for multiple social media accounts on the same calendar. 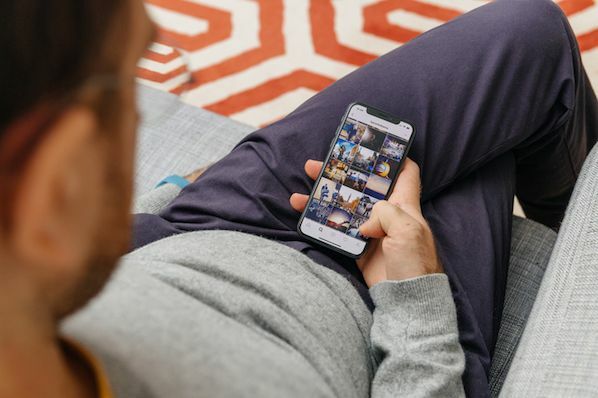 Like Schedulgram, Autogrammer also includes a photo editor where you can crop, rotate, recolor, and apply filters to photos before they're scheduled. 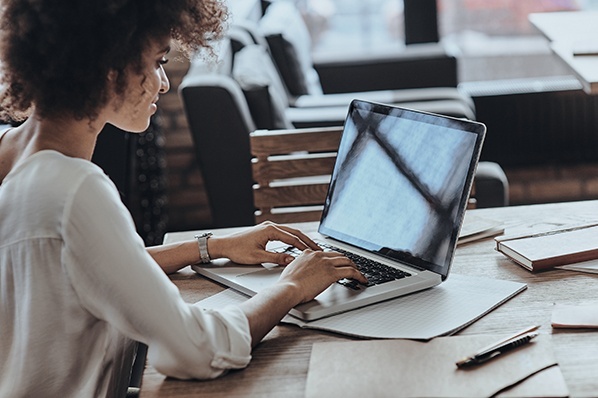 HubSpot is our growth platform, bringing together numerous sales, marketing, and customer service tools -- one of which is a social media publishing calendar. You can learn exactly how our scheduling tool works in the step-by-step instructions below. Open HubSpot and use the "Social" tool to integrate your Instagram profile. Instagram and Facebook might be separate accounts to you personally, but businesses that want to automate their Instagram posting schedule will need to tether both accounts together. So, you'll need the username and password of your business's Facebook account to do this. 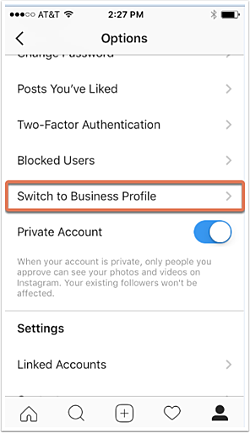 If you have a personal Instagram account, you probably know you can manage more than one profile from the app -- and the other profile is your business account (keep in mind you'll need an Instagram Business account to schedule Instagram posts in HubSpot). Under "Settings," select "Linked Accounts." Here's where you can select Facebook and link your two accounts together. You might be asked to "Log in With Facebook," at which point you'll enter your business account's username and password. Otherwise, select "Continue as [yourself]." 3. 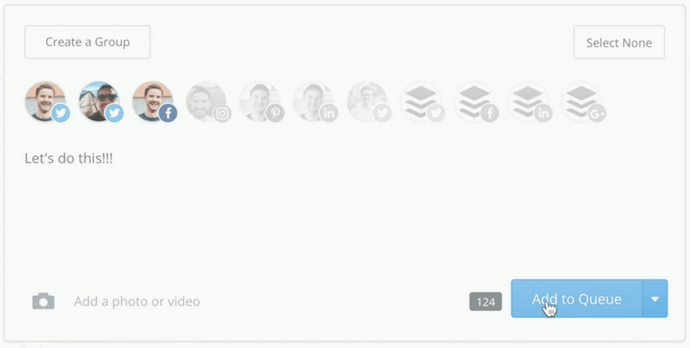 Open HubSpot and use the "Social" tool to integrate your Instagram profile. Now that your Instagram profile is anchored to Facebook, you're ready to integrate it with your post scheduler. For our purposes, we'll be using HubSpot's Social tool. 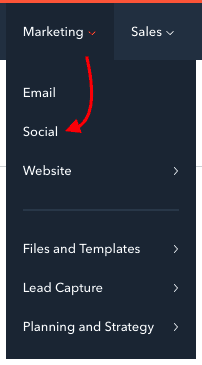 Open HubSpot, select the "Marketing" dropdown, and click "Social," as shown below. Click the first option, "Facebook & Instagram," and follow the prompts to complete this integration. For more details, see the full connection instructions by HubSpot Academy. 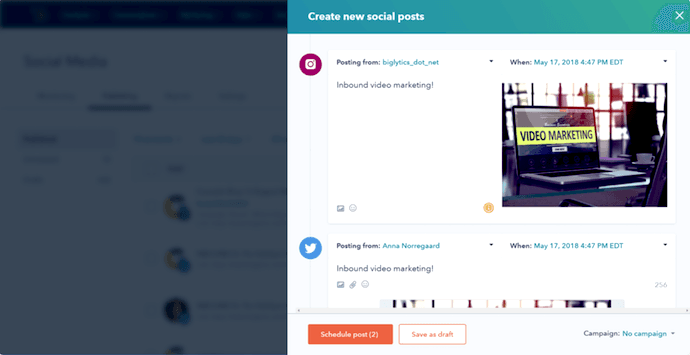 Once your Instagram account is integrated into HubSpot, you'll see an option to "Create social post" in the top-righthand corner of your HubSpot dashboard. 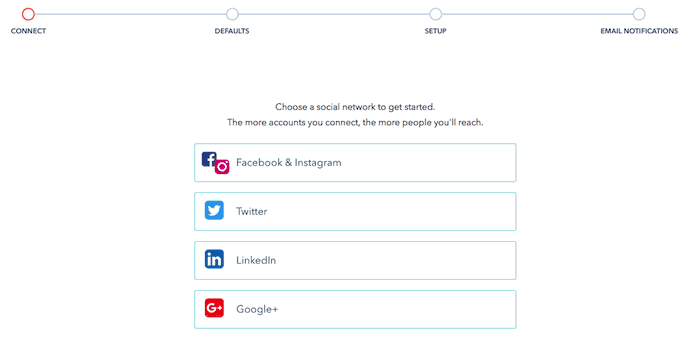 Click it, and you'll see icons for which social network you want to start with. Select the Instagram icon to compose your first post for your Instagram account. Then, caption your image with the text, hashtags, and user mentions you'd like to post your photo with, as they should appear on Instagram. Just above the photo you're posting, you'll see a field labeled "When:". Use this field to set the exact date and time you want your post to automatically go live on your Instagram profile. Pro tip: Social media content posted a few minutes before or after a round hour often gets better engagement than content that's posted at, say, exactly 9:00 a.m. This makes your post seem more human to your followers, increasing the chances of them clicking on it (ex: 9:03, 10:58, 2:31, etc). Any grammatical errors? Are all your intended hashtags included? Is the image successfully uploaded? Check to make sure, and you'll be ready to schedule. 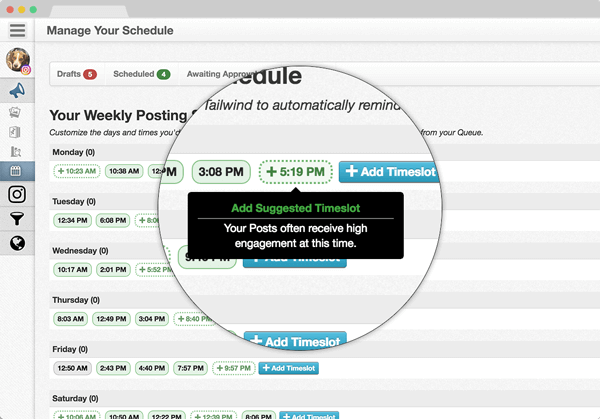 As you might be able to tell from the screenshot in Step 5, you can schedule your social posts in bulk. Got any more Instagram posts planned? Draft them now and schedule all of them at the same time. Once every post you want to schedule has been loaded into HubSpot, you can hit the orange "Schedule message" button on the bottom lefthand corner of your compose window.